Srinagar: At least 42 fighters including 20 security personnel were confirmed dead in northern Kunduz and neighboring Baghlan provinces on Tuesday as the Taliban militants stepped up offensives in the northern region, officials have confirmed. The armed outfit in efforts to tight the noose around Kunduz city, the capital of northern Kunduz province, launched offensives on several security checkpoints in Khawjapak and Talawka areas outside provincial capital Kunduz early on Tuesday, triggering heavy fighting which lasted for hours and resulting in the death of 10 security personnel and the injury of a few others, a local official has confirmed, reported Xinhua news agency. The official, who declined to be identified, also noted that the militants after suffering casualties fled the area. Meantime, a spokesman for the national army in the northern region Mohammad Hanif Rezai has confirmed the clash but insisted that the security forces retaliated by killing 22 militants on the spot and injuring 18 others, forcing the insurgents to run away. The official, however, didn’t reveal the security forces casualties, only saying “unfortunately some troopers were martyred and injured” in the fighting to defend the country, the Xinhua report said. The Afghan Defense Ministry has also confirmed the Taliban onslaught but said in a statement that the militants offensive in Kunduz has been foiled. 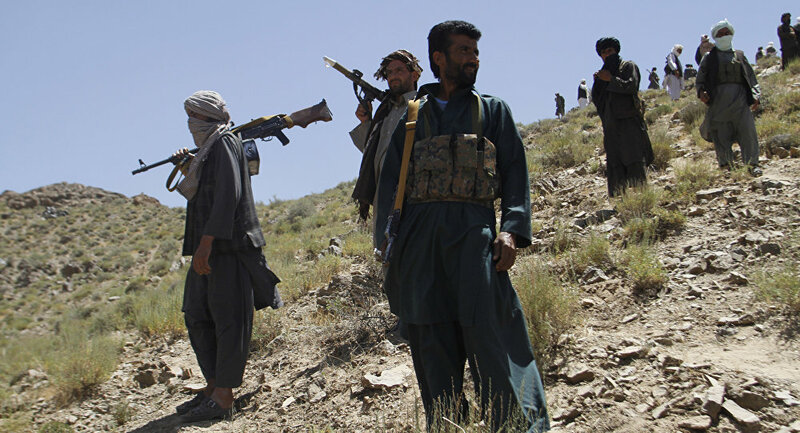 Similarly, the Taliban outfit stormed a base of Local Police in Jar-e-Khushk area of Baghlan-e-Markazi district in northern Baghlan province early on Tuesday, killing 10 security personnel and injuring five others, head of provincial council Mohammad Safdar Mohsini told Xinhua. Local Police is a local security entity composed of villagers to defend their community where the presence of national army or national police is slim to ensure law and order. Confirming the clash, Taliban spokesman Zabihullah Majahid in contact with media claimed that the militants after killing 10 police also captured some security checkpoints in Baghlan-e-Markazi district. Local observers believe that the Taliban outfit by intensifying operations in Baghlan and the neighboring Kunduz province are attempting to gain ground along the main highway linking Kabul to the northern eight provinces and eventually could disrupt traffic flow to the northern region of the country.